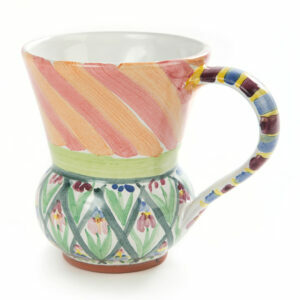 Get your caffeine fix! 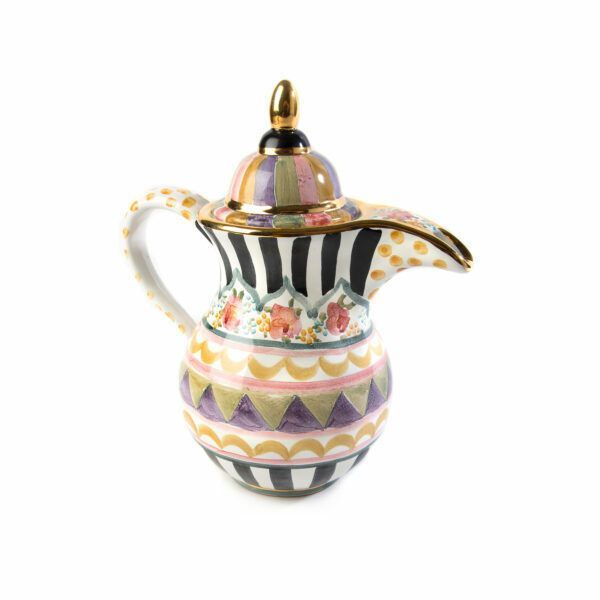 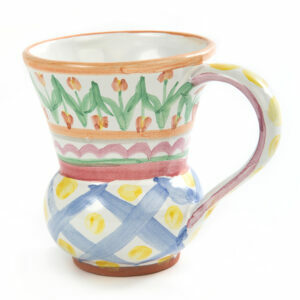 The pretty hand-painted blooms, stripes, and squiggles on our Bazaar Coffee Pot add a playful spirit to this ritual. Gleaming with gold lustre on the spout and lid, it’s also the perfect way to present Turkish coffee or other hot beverages. 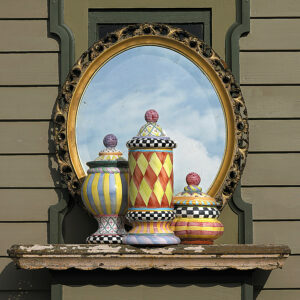 Turn it over to see the marks of the artisans who created it in Aurora, New York.